Here we are in London on the first leg of our journey to South Korea. But really, why bother? Look what I found being given away at Charing Cross Station this morning. Free Korean newspapers. 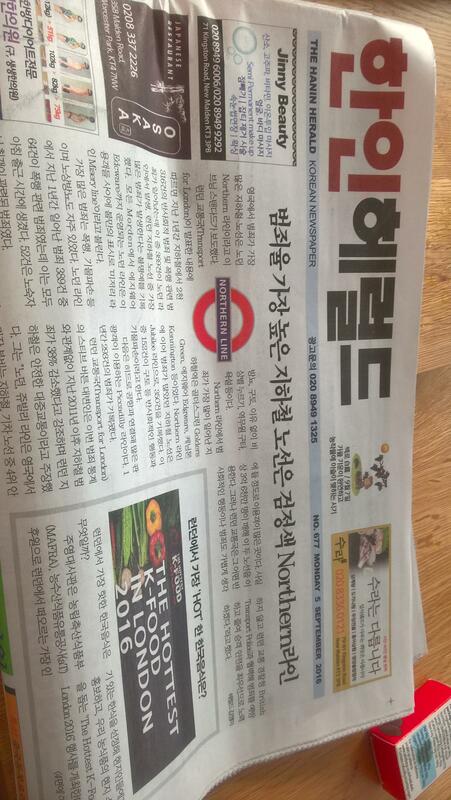 The adverts in them reveal that all Korean life is here in London. Author margaret21Posted on September 7, 2016 September 7, 2016 Categories South KoreaTags London, newspapers14 Comments on Read all about it.